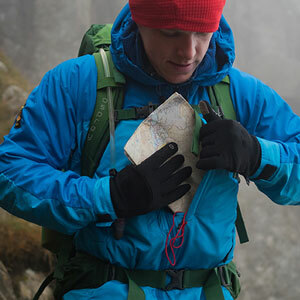 High performance gear - waterproof, windproof and insulation - designed for active men and women taking part in their favourite outdoor pursuit, Páramo's garments are designed for comfort, to allow ease of movement, easy temperature control and the flexibility of working well together. Made from high performance directional fabric systems to keep you dry and comfortable all day long. Karitek is a Páramo Shop-in-Shop retailer, which means we have a specially selected range replenished automatically by Páramo so you can find the perfect outdoor garment. Durable jackets, smocks, fleece, trousers providing all-day comfort and weather protection. 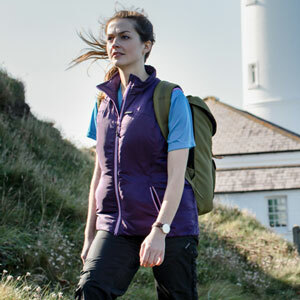 A range of jackets, smocks, fleece, trousers, base layers and underwear for all active pursuits, designed with input from women mountain guides. A two layer construction - The Nikwax Analogy Pump Liner mimics the action of animal fur – pushing liquid water outwards to protect you from rain, condensation and perspiration, while protecting your insulation. This is combined with a Directional microfibre outer to deflect wind and rain.